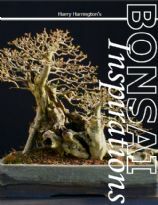 'Bonsai Inspirations' the book is divided into 15 chapters, each chapter covering the progression and development of a bonsai over a period of many years, illustrating in great depth how impressive and majestic bonsai can be created from humble beginnings. In-depth articles, diagrams and many hundreds of photographs have been inserted into each chapter to help explain and illustrate the techniques involved in the development of each bonsai. Within the book, Harry Harrington reveals many aspects of his unique work, in particular his carving techniques, branch development and tree design as well as his techniques for ensuring the health and vigor of his bonsai. Species covered in detail within the book include Japanese Maple, Trident Maple, Beech, Privet, Oak, Hawthorn, Spruce, Blackthorn, Hornbeam and Elm. 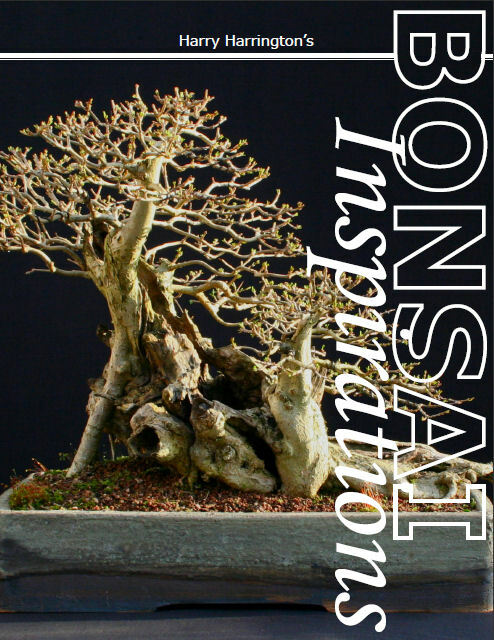 'Bonsai Inspirations' has been written to provide interest and inspiration as well as information to bonsai enthusiasts of all levels, whether they are novices looking to learn how to look after their first trees, experienced growers or bonsai professionals. The author of the 'Bonsai Inspiriations' book is Harry Harrington. Harry is also the author of the extremely popular website Bonsai4me that gives clear, interesting and informative information about growing bonsai. 272 pages | Paperback cover. You will earn 39 points which is the equivalent of €3.90 when ordering this product.